It’s Friday, and that means Xur is around in Destiny 2 until reset on Tuesday. This week, Xur is located in the Tower Hangar. 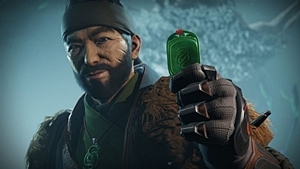 As a remainder, the update this week made it so that Forsaken exotics can drop from Xur’s Fated Engram. So if you’re missing an exotic, make sure you buy the Fated Engram.